An ideal machine for start-up to mid-size embroidery shops is the SWF B-T1202D Dual Function Automatic Embroidery Machine. Unique to SWF is their patented Dual Function Technology which enables a single machine to embroider both caps and flat hoops at the same time. The SWF B-T1202D is controlled with a 10.4” touch LCD display making it easy to set up each job. 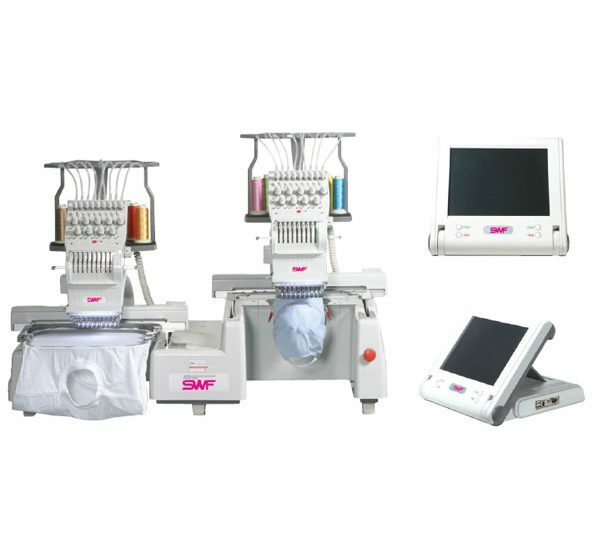 Coming standard with all SWF machines is the Quick Change Cap Systemmaking transitions from caps to flat hoops a tool-less snap and running at 1200 stitches per minute this machine is one of the fastest on the market. With a 7 year limited warranty and amazing SWF customer support, your can’t go wrong. Get an estimate today!